It’s that time of year again! No, I’m not referring to Christmastime exactly. More specifically, I’m referring to the several weeks where your inbox is bombarded with the endless onslaught of emails advertising this BOGO or X% off or free shipping or whatever sale companies have concocted up for the holiday season. Black Friday alone I had upwards of 100 emails, and that was just on Friday. As I’ve pointed out in the past in my post “A Frugal Beauty’s Guide to Not Making Your Wallet Cry”, sales, unlike Santa, don’t only come once a year. This is something I definitely had to remind myself of when I was in “BUY ALL THE THINGS!! !” mode. I didn’t even take advantage of all the sales I had initially looked at going into Friday (this includes Sigma, which you’ll see soon in an upcoming post why I chose to skip that one), and plenty of those were brands that were having great sales but on products that I didn’t need quite right this second. However, this is a great time of year for sales on particular brands that typically don’t offer as great of deals at any other point in the year, and taking that into account as well helped me pare down where it was best to put my money. Without further adieu, here’s my haul! *This is solely the products I got from the Black Friday-Cyber Monday weekend. As many of you know, Sephora also had their sale shortly after where Beauty Insiders, VIB and Rouges got a certain dollar amount off a $50 purchase. Those I’m saving for future posts. I would like to welcome you into my bedroom. That is indeed a stuffed animal Golden Retriever in the background. His name is Doug, like the dog from Up! He says hello. I fell in love with this scent as soon as I smelled it in the Target display over a month ago. What I wasn’t in love with? The price tag. $30 for 1oz. Luckily I waited on it. 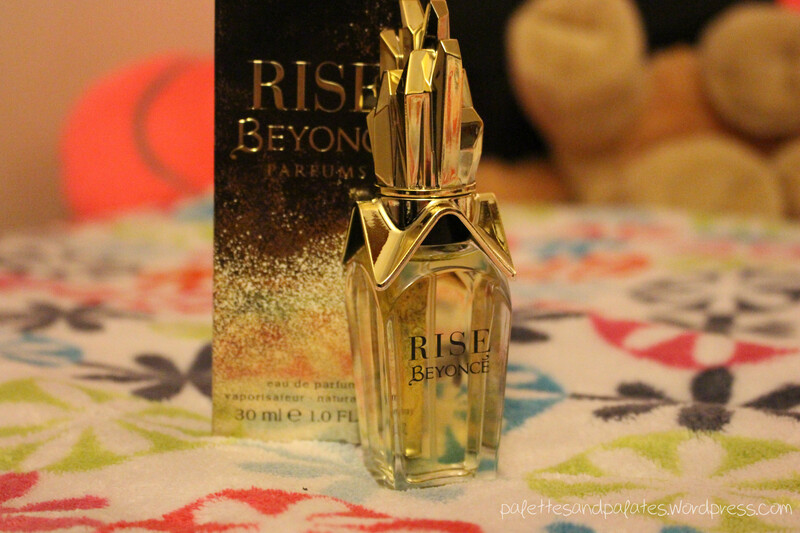 Target was taking 40% off their celebrity fragrances, and that was all I needed to snag this immediately. From the description: “Top notes: Italian bergamot, golden apricot, ice basil sorbet. Heart notes: gold symphony orchid, freesia blossom, natural jasmine sambac. Bottom notes: autumn woods accord, cashmere musk, vetiver extract.” It’s a really great all-day scent but is really perfect for a night out. And the bottle is awesome. I could not resist this. I had gone back and forth so long on this palette because it is truly beautiful but the price point kept me from picking it up right away. Even with 20% off at Ulta or Sephora, it was still $40, and at the time of those sales I didn’t see myself using it until spring or summer so I couldn’t justify the purchase. Then UD put it at $35 and I said f*** it, it’s now or never. Then, thanks to Nouveau Cheap’s Instagram, I saw the code for an extra 20% off, putting this baby at just under $30! 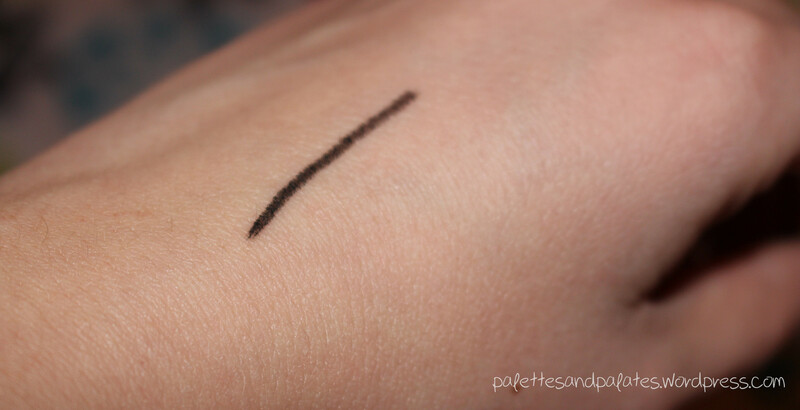 Now that I could justify, plus having this little liner on hand will be great for doing some smokey eye looks in the future. I’m excited! It’s so pretty and I’m happy to finally call it mine. I had already settled on getting the palette when Ulta sent an email saying their Cyber Monday deals were live and that they were giving 3X points on purchases. That only sweetened the deal! 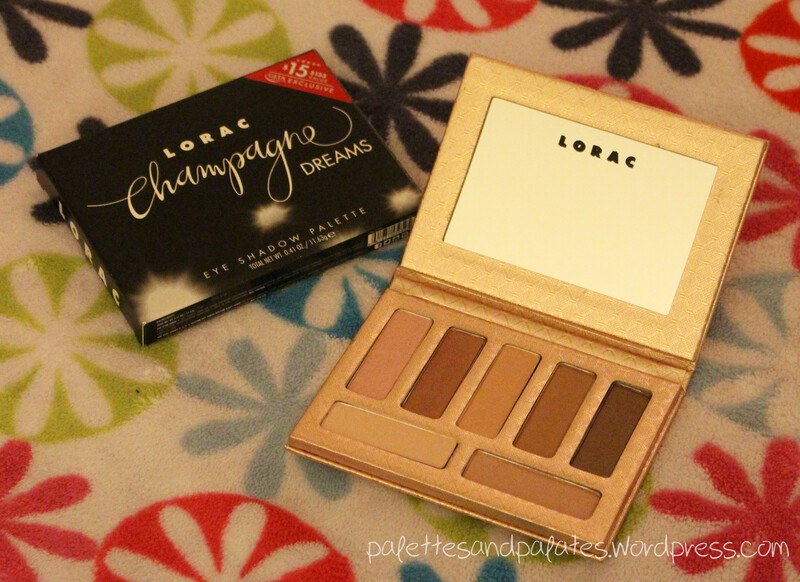 I love my LORAC Pro and this little baby was calling my name as colors in the champagne range suit me very well. 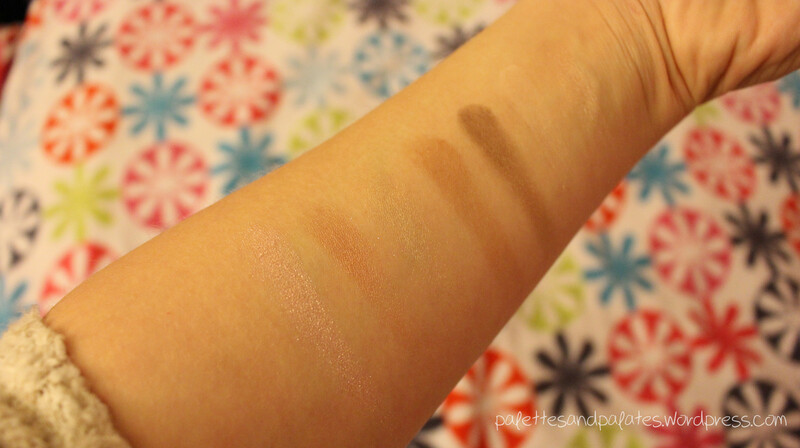 I can’t say that I was totally wowed by the pigmentation of these on bare skin without any base but I went into this knowing that this would be a good palette for creating neutral looks for myself so I’m not in the least disappointed, and as well as they perform over a base as well as their Pro big sisters, I’m content. Plus it was only $15, so no regrets here. 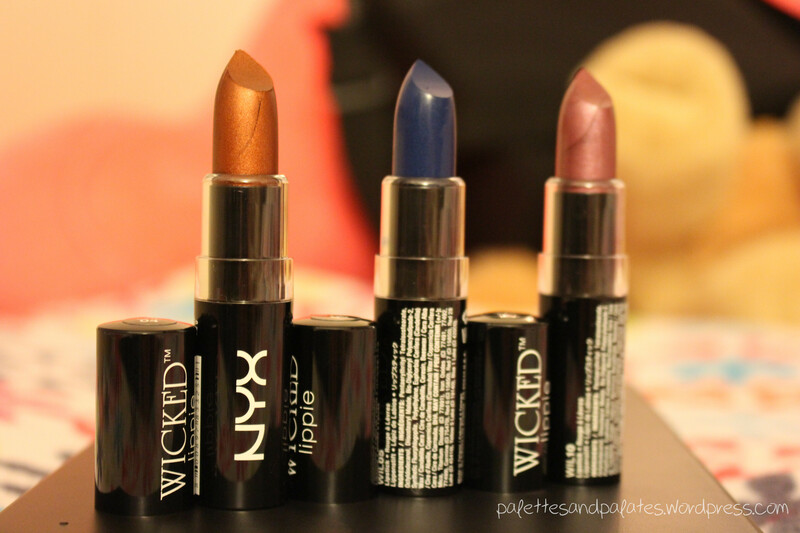 The NYX Wicked Lippies were a welcome addition to my order to round it out to $25 for the free shipping. 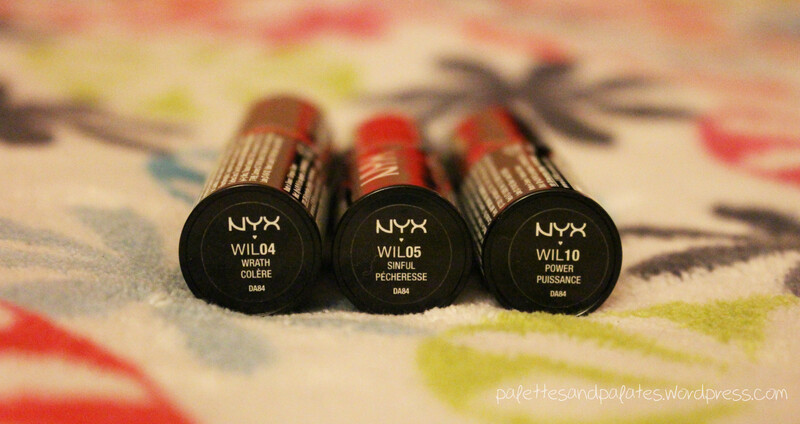 I’ve fawned over this collection for a good long while and am so ecstatic to play around with these three babies! Technically I placed this order on Tuesday when Coastal Scents extended their sale for one more day but I’m still including it here. 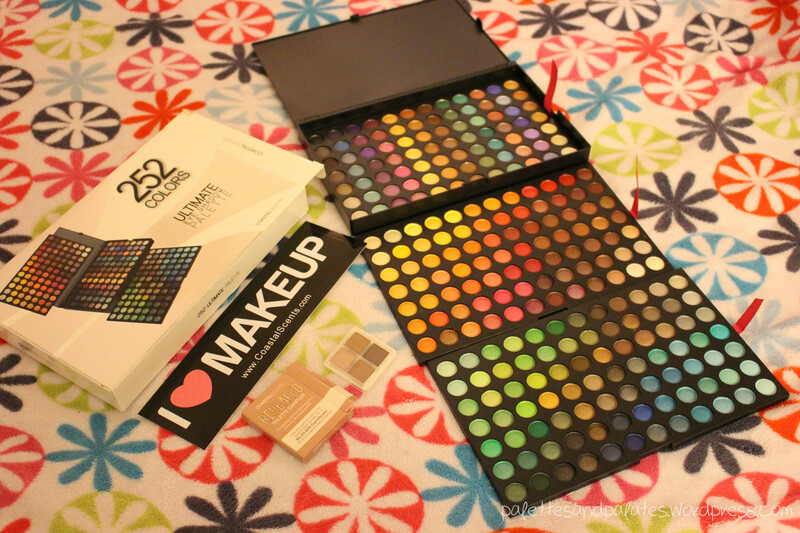 I had gone back and forth on the 252 Ultimate Palette for months as a way to add color to my collection after seeing so many rave reviews about it. It has been on sale for 50% off a couple times during my deliberation but I bit the bullet and have happily not looked back. 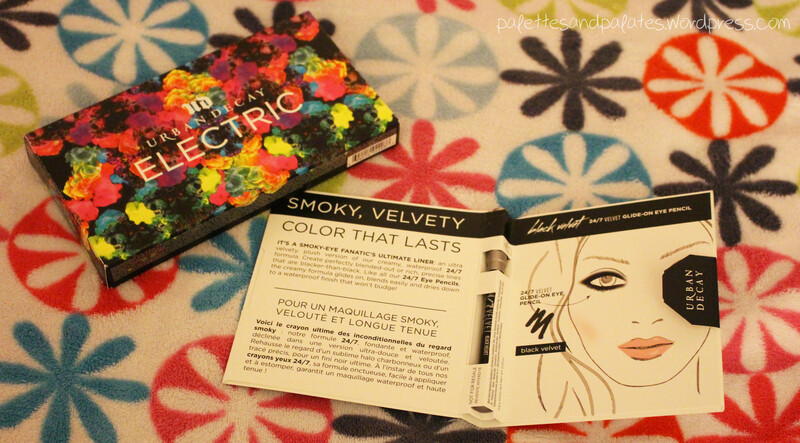 It may seem silly considering I also bought the Electric palette yet this gives me even more variety on top of that for a bargain price. 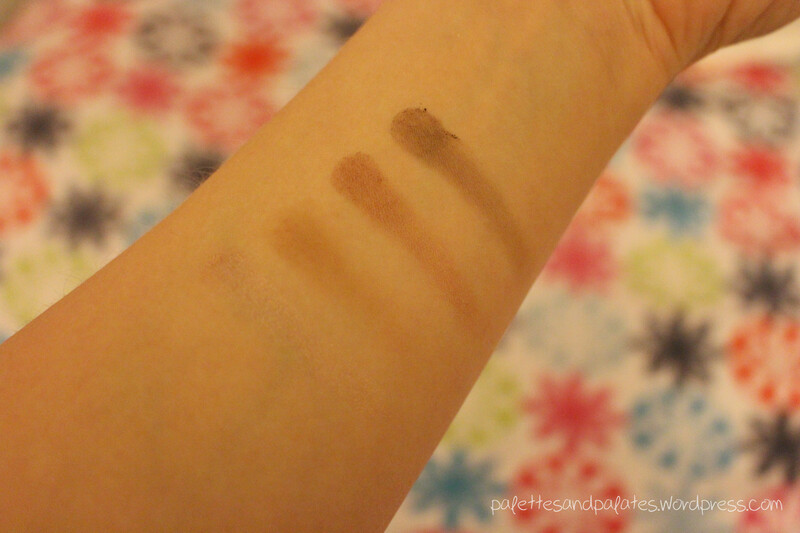 It was also a better way to see what colors I actually like on myself without overspending on single shadows that I never get to try until I have them in my hands, which is kind of what I was doing before and certainly wasn’t effective. The pots are small, which I know is one of the complaints about the collection, however you’re getting 252 of them–and in my case I got them all for about $13 before shipping–and many only differ slightly in shade that if you run out of one, you’ll no doubt find something close nearby. I love the simple black packaging with the three different palettes, and while it certainly isn’t the most travel friendly collection, that’s not what I’m looking to do with it, and I can always build my own palette in the future once I see what I like from here. That is my only complaint is that there’s no key or names to the shadows for if I do find something I like, as Coastal Scents does sell their individual “hot pots” or making it easier to be led to a dupe in another brand. Oh well, I think I can manage. 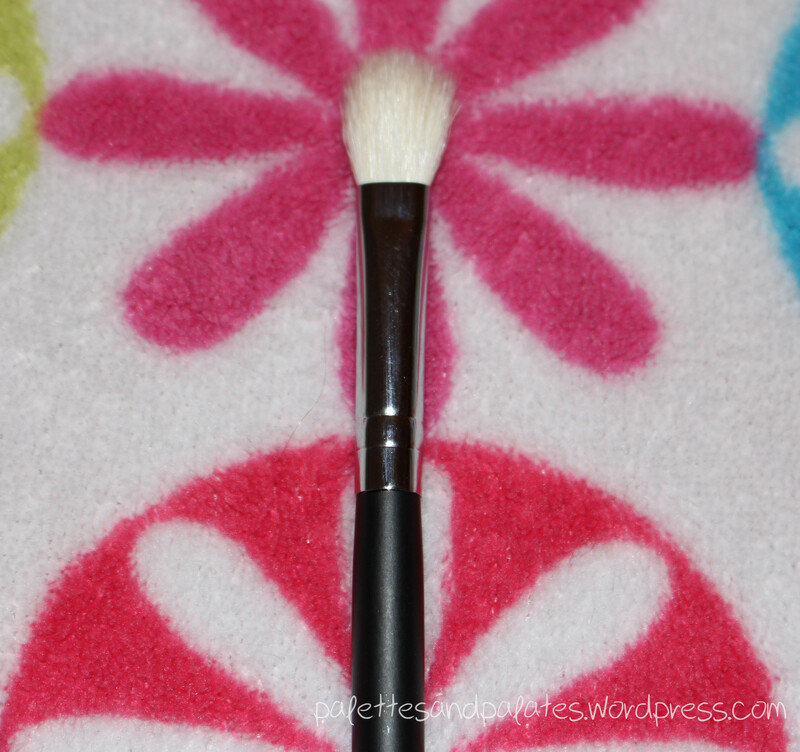 I also picked up the Pro Blending Fluff Brush which has been touted as a cheap alternative to the Mac 217. It was a little over $2 with the discount so it really didn’t hurt to add this guy on. I’ll see how it holds up to the Mac 217 but for now it’s a nice soft brush that will be welcome amongst my blending eye brushes. You really can’t have too many of those in my opinion! Lastly, CS sent along a four shadow sample of their Revealed palette with a $5 off coupon code on the back. 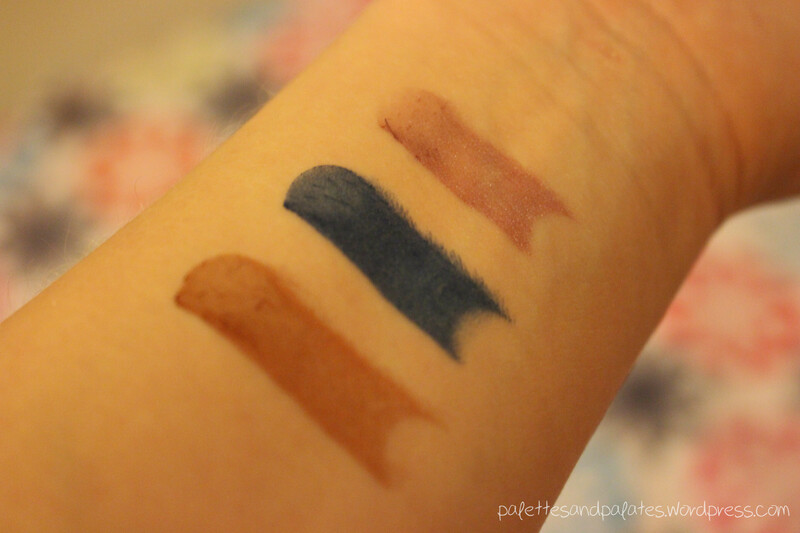 I’m pretty impressed with the swatches from this little sampler, and while I passed on both the Revealed palettes for now I may have to reconsider in the future! This is also a food blog after all, and even among my beauty goodies I could not wait for this Cyber Monday sale most of all!! I have had a lack of Quest Protein Bars in my life and this was the perfect time to restock. Seriously, I love these. They’re my favorite protein bar. If you’ve never understood the saying “Cheat Clean”, try one of these and you will. 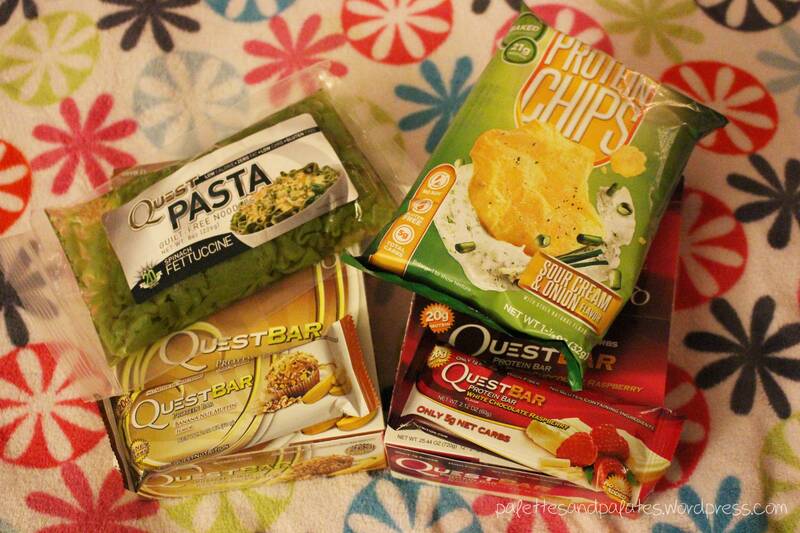 Quest Nutrition was giving 25% off orders between $39.99 and $250.00. With a box of my faves costing $25, it was easy to meet the minimum. Ugh, babies, I’ve missed youuuu. 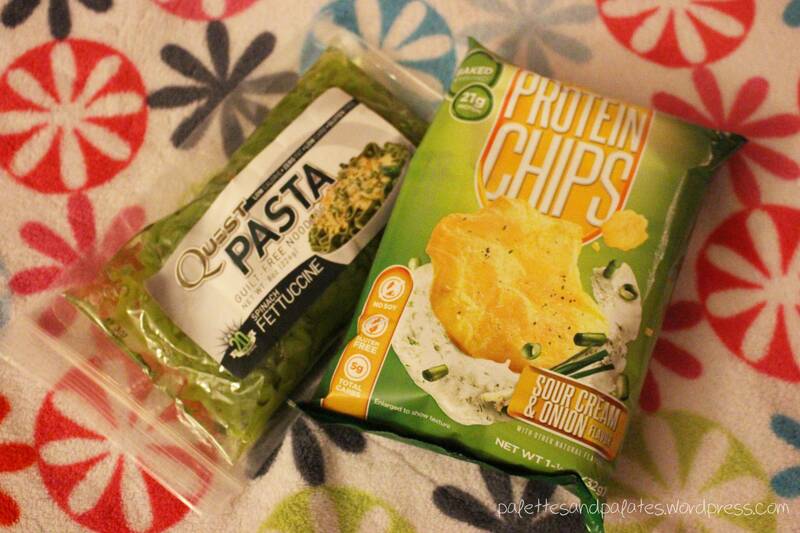 Quest has also expanded their line to include Protein Chips and Quest Pasta. I’m intrigued. And a little scared. Thus why I only bought a bag of each to start. I plan to taste and review these, so be on the lookout!